With all the changes that mobile devices, tablets and social media are now having on work, education and everyday life, it’s important to remember how a previous generation dealt with the significant cultural shifts that occurred at the advent of television broadcasting, first, in the 1950s and later, when the 500 channel cable television revolution first came into people’s homes in the 1980s. 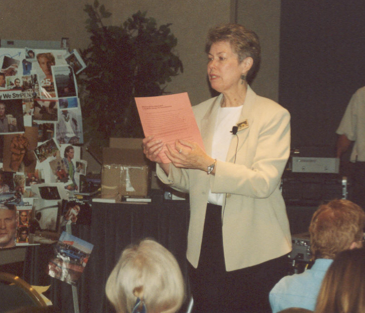 Elizabeth Thoman taught generations of educators how to ask critical questions about mass media. On September 20, 2013, media professionals, scholars, educators, librarians, youth media advocates and citizens will gather in Providence on the University of Rhode Island Providence campus for the Symposium on the Historical Roots of Media Literacy Education. The symposium is free and open to the public. Awareness of media literacy began with the work of leading figures such as Marshall McLuhan, who explained in 1964 that “the medium is the message,” FCC commissioner Nicholas Johnson, who wrote How to Talk Back to Your TV Set in 1970, and Neil Postman, whose 1985 book, Amusing Ourselves to Death: Public Discourse in the Age of Show Business, inspired educators to take television seriously as an object of study. The symposium showcases URI’s recent acquisition of the Elizabeth Thoman Media Literacy Archive, which holds significant historical artifacts and documents related to the development of media literacy as a movement and a field of specialization at the intersection of media studies and education. Elizabeth Thoman, CMH, was editor of Media & Values magazine 1977–1993 and founder of the Center for Media Literacy, a leading national non-profit organization in the United States. The archive is available to scholars through the URI Library’s Special Collections. We are bringing together leaders from four decades to engage with the next generation of young leaders. Participants will include members of the first generation of educators and activists, now in their 70s and 80s, who were aiming to help people build critical thinking skills about television, along with those who are interested in digital and media literacy education today and in the future. Invited participants include Elizabeth Thoman, founder of the Center for Media Literacy, Marieli Rowe, executive director of the National Telemedia Council, a non-profit media literacy organization based in Madison, Wisconsin, Tessa Jolls of the Los Angeles-based Center for Media Literacy, and Alan Levitt, former communications director of the White House Office on National Drug Control Policy. Michael RobbGrieco of Temple University will deliver the keynote address on the intellectual history of media literacy education, beginning at 9:30 a.m. in the Paff Auditorium, University of Rhode Island CCE Feinstein campus, 80 Washington Street.